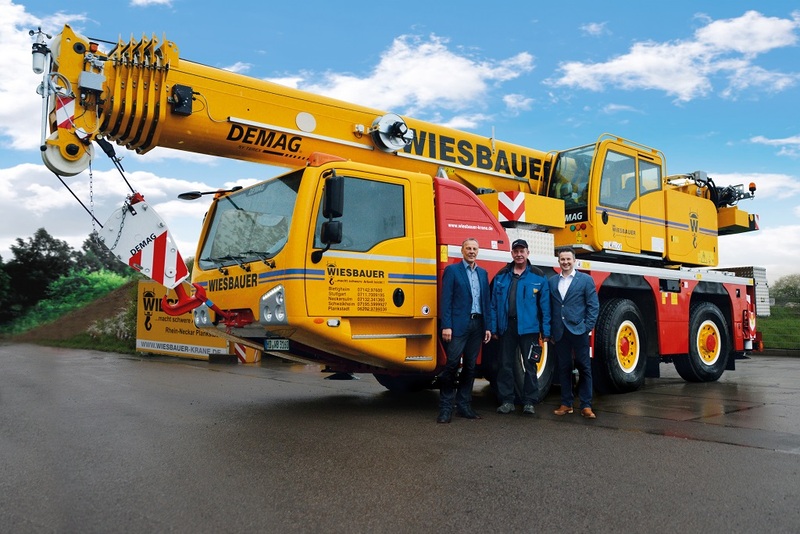 Located in Bietigheim-Bissingen, Germany, the crane service provider Wiesbauer just acquired their first Demag AC 55-3 all terrain crane. This new machine will be delivered in Plankstadt, where the Rhein Neckar branch of the company is based. « We mainly purchased the AC 55-3 for use in the construction of cellars, prefabricated houses, and lifting ventilation equipment », explained Norman Weitzel, Managing Director of the branch. The three-axle AC 55-3 has been launched in March 2018. Its telescopic main boom reaches 50m and it has a lifting capacity of 55t. With a width of 2,55m and a 12t axle load limit capacity, the AC 55-3 can also be configured for an axle load limit of 10t if required. Previous PostPrevious Here are the 2018 Esta Awards winners !